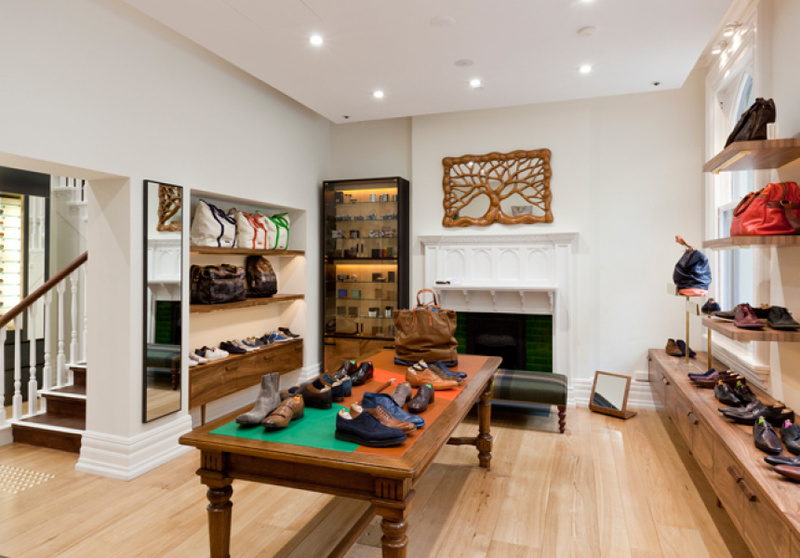 British fashion designer Paul Smith’s standalone Melbourne store resides in a heritage-listed building on Collins Street, replete with original features such as Gothic windows, fireplaces and lead lined glass. It’s a classic, expansive setting that befits the calibre of Smith’s esteemed label. 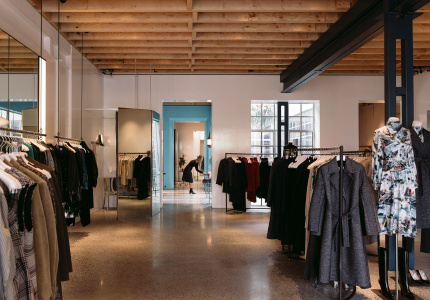 The store spreads over two levels, with design throughout reflecting the brand’s mix of vintage and contemporary styles. 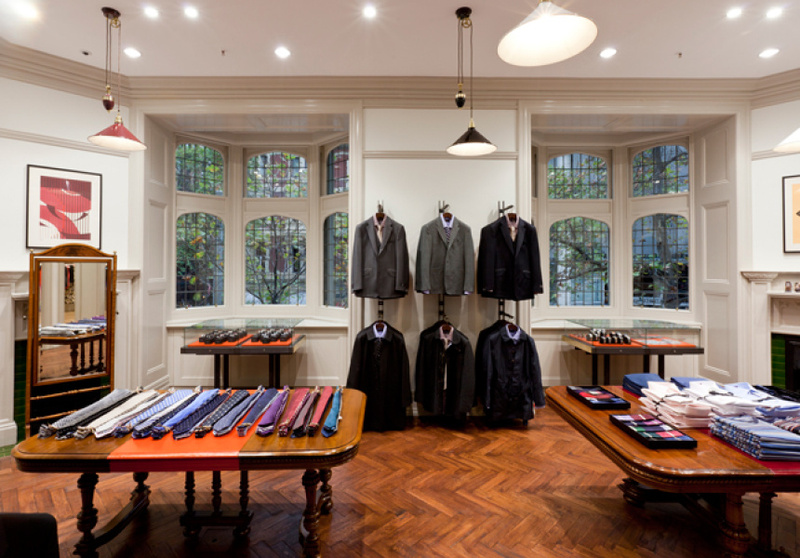 Smith himself is personally involved in shaping the character of each store and the result is a charming interplay of British eccentricity and time-honoured tradition. Along with fashion (four men’s and three women’s collections), footwear and accessories, there are artful displays of books, curiosities, and antiques. Wandering through the oak-floored store, you begin to wish some of the shop fittings were for sale too. Reclaimed pieces such as a coral chandelier provide an unexpected twist, while 1960s brass-clad cabinets in the high-ceilinged reception area proudly display all manner of accessories and objects. Elsewhere, a pair of Paul Smith armchairs featuring his trademark striped upholstery catch the eye – their corner presence lending a roguish, gentlemanly wit to the space. Climbing the sweeping staircase to the second floor, you’re greeted by a collection of framed artworks curated by Smith himself. 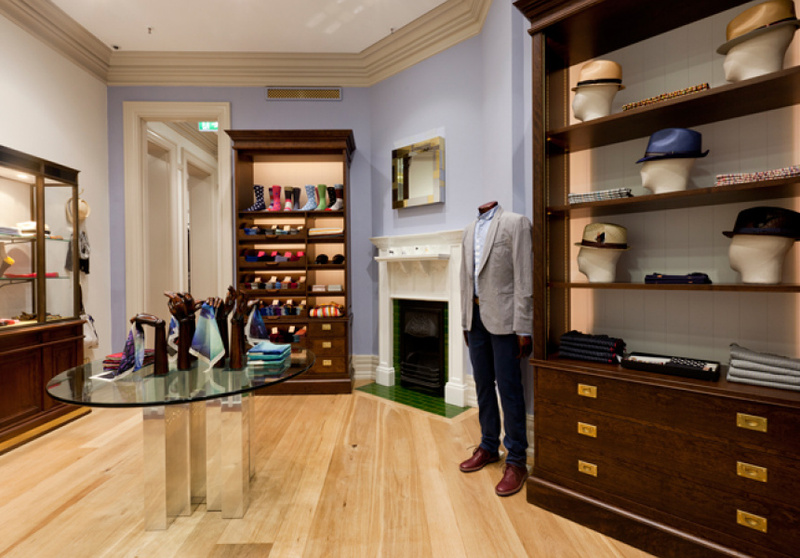 On the upper landing, a swirling display of silk scarves segues into the men’s suit room, which features a mahogany parquet floor and dual bay windows. A neighbouring room features womenswear; flowing silhouettes and vibrant colours blossoming from beneath a curving brass rail. In the men’s jeans area, a space age, sputnik ceiling light is offset by a bookshelf that channels artist Piet Mondrian’s strategic use of primary colour. In the background, a glossy electric guitar amps up the view to the tree-lined street below. Such visual flourishes are an appropriate nod to Paul Smith’s coming of age in the golden era of rock ‘n’ roll and the enduring influence of free-spirits on his design sensibilities.